Becoming the Woman you are destined to be is how you live the life you love! happen with intentional action and support right now! Sign up for this 6 week Virtual Workshop specially designed for BECOMING YOU! A woman of powerful clarity and confidence who gives herself full permission to accept her messiness in order to express her greatness and become the Woman of her dreams! Feeling into and owning your struggles and potential, actioning your desires with a distinct roadmap that flows with inspired steps in the company of loving supportive Women, is how You will create your Big Goals or Next Chapter in life and become the You, you've always longed to be! Week 1 - Igniting your Vision for 2019! Working with your desires, gifts and skills. Week 2 - Release inner struggles through transformation of your limited beliefs and emerge with deeper belief and ability to achieve your 2019 goals. Week 3 - Play Bigger by embracing Abundance & your worth to by dissolving the old money story. Week 4 - The Mindset of Manifestation & 3 Powerful Tools to help you create success. Week 5 - The Roadmap – mapping out your beautiful plan! Creating a visual and tangible flowmap for your goals. Week 6 - Stepping out with inspired & intentional action steps with full support from this tribe of Women. All sessions will be facilitated over Zoom, a virtual space where we will be in each other's energy & company to share, grow and create! You will need a computer, internet, a journal, some privacy and perhaps a cup of tea! Ø All sessions will be recorded in the event you have to miss one. But you won't want to miss any....so prioritize these dates in your calendar now! 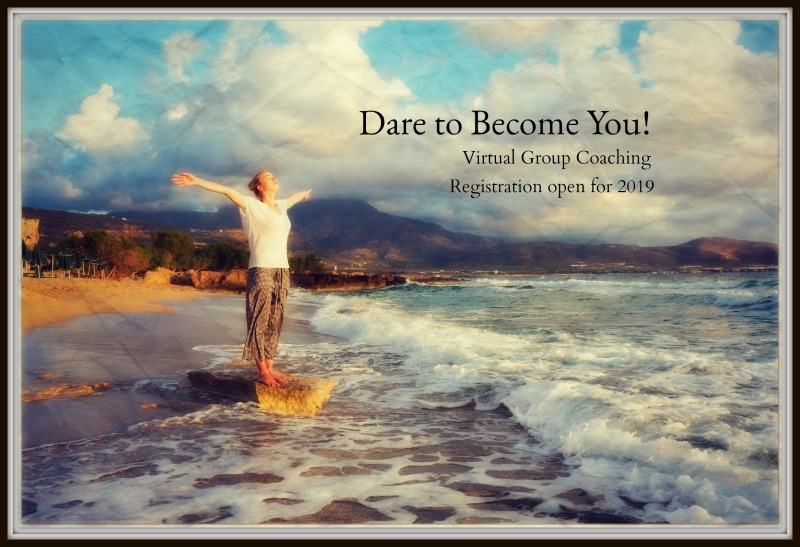 This Virtual Workshop is for YOU!